Leah Remini is revealing more about her departure from the Church of Scientology earlier this summer. Appearing on Monday's season premiere of "The Ellen DeGeneres Show," the actress explained why she and her family left the religion. "My mother got involved when we were very young, so it's all we really ever knew," she said. "But over time, my eyes got opened and I could just no longer be affiliated with the organization, and my family felt the same, so we left." Remini told DeGeneres she's doing "ok" but that parting ways with the church cost her some friends. "It's hard. We lost friends who can no longer talk with us who are still with the organization," she said, adding, "these are friends that we've had for dozens of years. But I have great friends, other friends that are not in the church, who have stood by us. Our family is stronger, we're together, and that's all I can ask for." 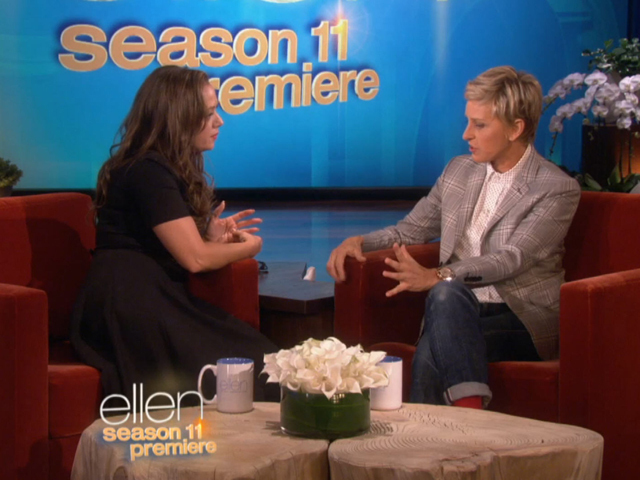 Remini also talked about preparing to compete on the new season of "Dancing with the Stars." She'll be dancing with pro partner Tony Dovolani when the show returns beginning Sept. 23 on ABC.